Social Bookmarks have a big SEO benefit for your website and they will rocket your SERP. A Social Bookmark will pass on the SEO benefits of the website where it is built from to the hyperlinked site. These links will remarkably enhance your link profile and improve your page rank. This social bookmarking service is the best way to dominate the Google results page. Social bookmarking is a very powerful way to get noticed and a far superior SEO technique to increase your Page Rank. Buy this service to give your webpage that extra boost to increase your ranking and page PR. 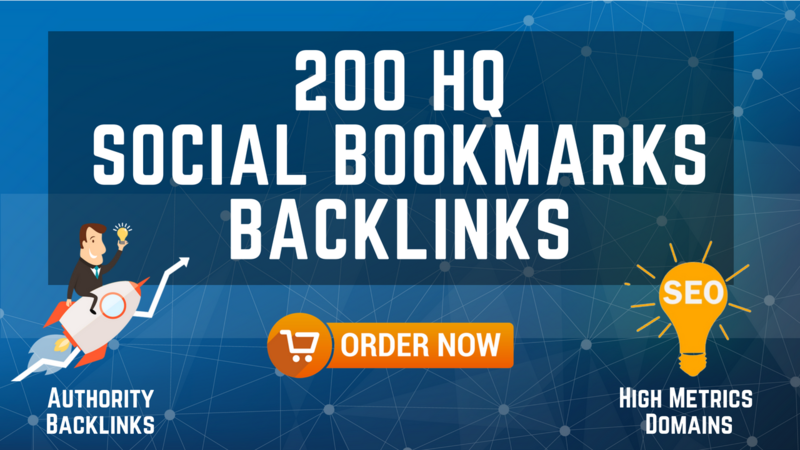 200 HQ Social Bookmarks Backlinks for your Website, Keyword and Youtube is ranked 5 out of 5. Based on 17 user reviews.